Our training courses are dedicated to all CDA automatic and semi-automatic filling machines: Specific applications of your filling machine by flow meter, peristaltic pump or pneumatic piston. 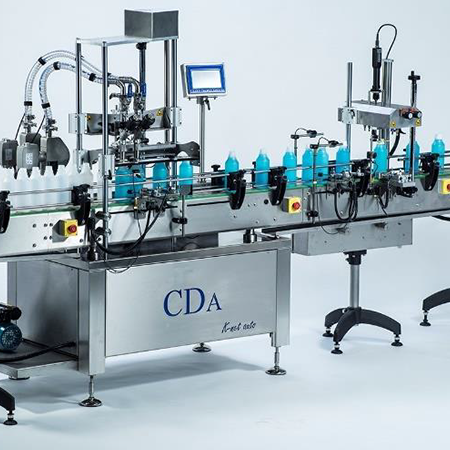 They have been designed in such a way that the users of the CDA machines master their filling machines as a whole in order to optimise the packaging of their products and maximise their service life. Our training courses assist our customers whatever your type of filling machine: automatic filling machines (K-Net Auto, K-Line, B-Hop) and semi-automatic filling machines (K-Net). CDA training courses are intended for all sectors of activity and all product formats to be filled: filling of food products (honey, jam, vinegar, oil, sauces, etc. ), filling of chemical products (detergents, paint, dissolvents, etc.) or filling of e-liquids products for electronic cigarettes.